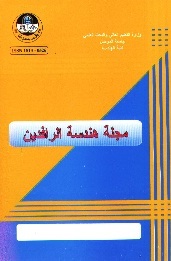 The first issue of Al Rafidain Engineering Journal published in 1993 by the college of engineering – University of Mosul. The journal is publishing at a rate of six issues in the year (Bi-Monthly). The journal publishes the referred original and valuable engineering research papers. The aim of publishing the journal is to develop the knowledge in the fields of applied engineering science. Rivers Engineering magazine aims to develop knowledge in the field of engineering and science related to it. Should contribute to the article submitted for publication in the development of engineering sciences in various fields will be considered in the dissemination of innovative and distinctive articles in these areas. Articles which are referred to the magazine for the purpose of evaluating the arbitrators with the reputation and extensive experience in the field of jurisdiction has been accepted for publication or apologize. And will be re-papers not accepted for publication to their owners.